After we review your application, we will determine your eligibility to resell our product line. Please complete the questionnaire below and we will contact you via email regarding your status. All sales must be transacted through our website and our sales are credit card (MasterCard and Visa) only. 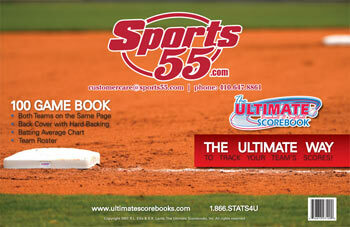 We appreciate your interest in Ultimate Scorebooks. The “ultimate” in baseball/softball scorebooks! Resellers are required to place minimum orders of 25 scorebooks in any combination. There is space set aside on the cover of our scorebooks for resellers to add their logo and contact information. This allows resellers to customize our product. Click image for full-size preview of custom scorebook. There is a one time $50.00 setup charge per each type of scorebook. We have two scorebooks - 100 game and 30 game and the covers are different sizes, so there are separate charges for each type of scorebook. The most you will incur in your order would be a one-time $100.00 setup charge. Custom cover orders take 14 to 18 business days to print and then your shipping time on top of the lead time needed for custom printed covers. If you interested in customizing your scorebooks fill in the 3 blanks below and we will contact you. What are your primary sales channels? What are your target markets for sales? 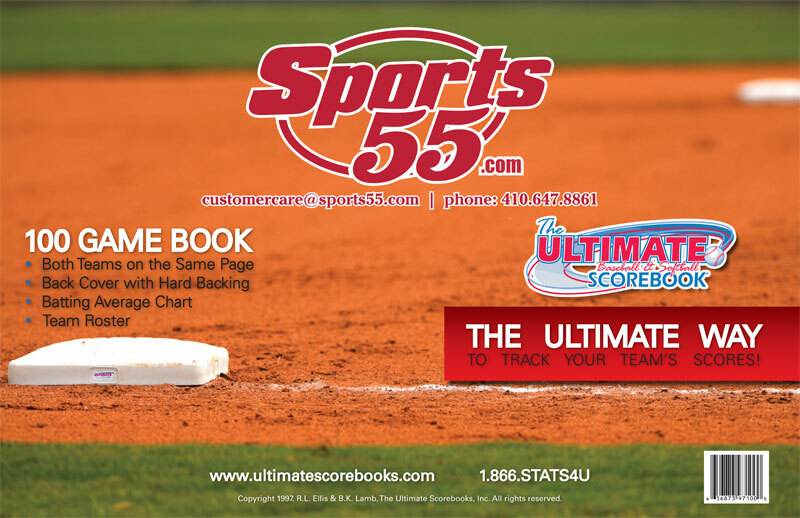 How did you hear about Ultimate Scorebooks? Saw the scorebook at a tournament or game. Friend referred me the product. Customer asked for the Ultimate Scorebook product line. Have you ordered from us previously? Would you be interested in joining our internet email marketing campaigns where we solicit leagues and associations across the country? Our product sell itself, but we also have a flash demo of the product that will really enhance the selling process if you sell products on the internet. We can incorporate this into your existing website or we can send you a link. If interested, this check this box. ** Scorebooks and line-up cards must be pruchased in minimum orders of 25 quantity at each time in each order to qualify for wholesale pricing.